Grew up… in New York City without a father. Derek’s father was murdered when he was a young child. Living… the fast paced, high-stress life of a neurosurgeon in Seattle. Derek moved to Seattle from New York in part to work under his former teacher, Dr. Richard Webber. This lifestyle is not for the faint of heart. Profession… neurosurgeon at Seattle Grace Hospital. “I’m a surgeon,” he says. “I don’t have any friends.” Derek’s life is taken up almost completely with his work. Working 48-hour shifts at Seattle Grace Hospital doesn’t leave Derek much time for a personal life. 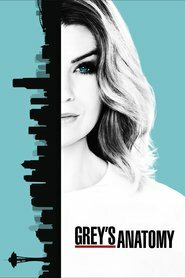 Interests… as he tells new intern Meredith Grey:“coffee ice cream, single malt scotch, occasionally a good cigar.” Derek enjoys completing the crossword puzzle on his days off, but those days are few and far between. Relationship Status… seperated. Derek caught his wife, Addison, cheating on him with his best friend, Dr. Mark Sloan. That’s the real reason he moved across the country to work at Seattle Grace. Challenge… figuring out which woman he truly loves. He struggles to choose between his wife and Meredith, a medical intern he met in a bar. While he obviously still has some emotional scars, he finds it difficult to distance himself from the good memories with Addison. Personality… charming, handsome and brilliant. Dr. Shepherd – aka “Dr. McDreamy” among the female interns – is one of the best neurosurgeons in the world, and has the confidence (and sometimes the arrogance) to go with that accolade. But having your spouse cheat on you with your best friend will take even the cockiest guy down a few pegs. Derek Shepherd's popularity ranking on CharacTour is #1167 out of 5,000+ characters. See our top-ranked characters and read their profiles.